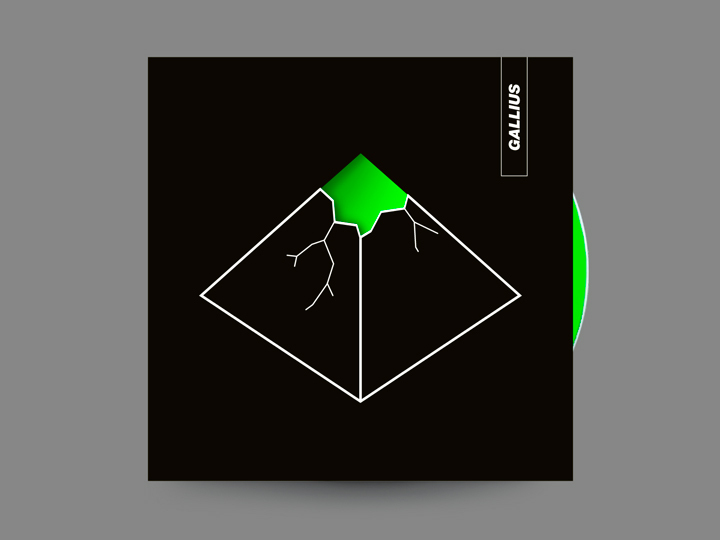 Gallius is the alter ego of slovene guitarist and singer Marko Galič. His music is a sort of alternative, post-psychedelic and minimalistic acoustic folk. His self titled debut album remarks the staus of the free thinking and open minded artist/author who suggests to transmit through music and lyrics some kind of change in society. 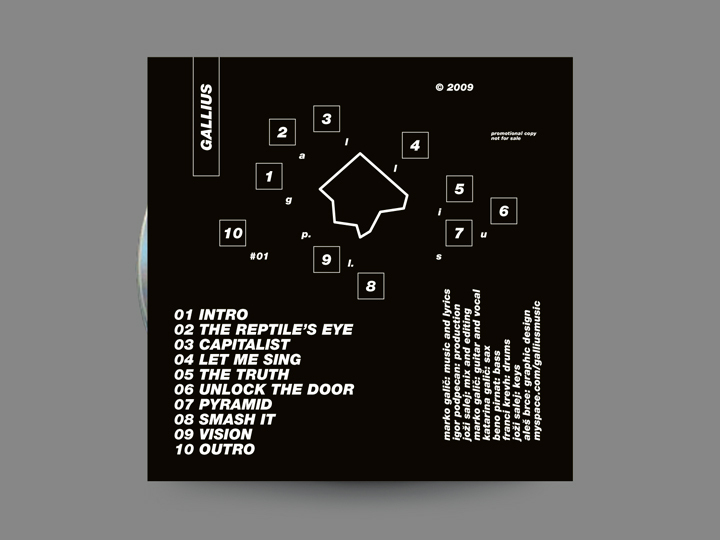 The artwork and design of the CD sleeve is structured on the artists’ idea of smashing the pyramidal society system. The black cover presents a pyramid that is dacaying, broking. 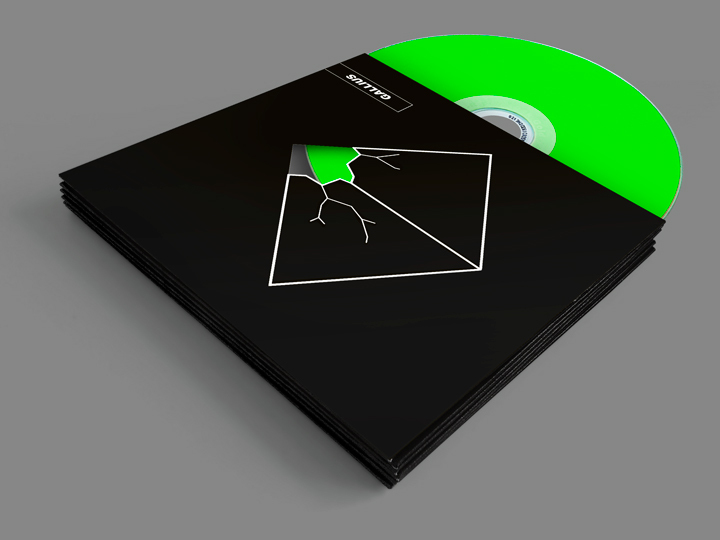 With a die-cut-on-sleeve printing technique you can see a green light (a fluo Pantone silkscreen on the CD label) that represents the hope of a new social status that emerges slowly and progressively, destroying the established hierarchy. This traces a clear revolutionary taking-position of the author’s music and lyrics. On the back of the sleeve there is present the ‘already broken peak’ of the pyramid: there is a track number for each angle of the geometric shape, as representation of this album’s small contribution in smashing down the system. So: black background = dark times; pyramid = power of a minority; emerging green light = hope.